On March 19, 2019, U.S. Acting Secretary of the Interior David Bernhardt announced the availability of the Fiscal Year 2019 Abandoned Mine Land (AML) Reclamation grants through the Office of Surface Mining Reclamation and Enforcement (OSMRE). This year’s grants will provide more than $291.2 million for states and tribes to repurpose, renew and reconnect abandoned coal lands in the hope of economically revitalizing them. These public funds will thus do the restorative work that should have been done by private industry. But mining companies have a long history of simply declaring bankruptcy when the restoration bill comes due, after they have extracted what they want from public lands. They get away with it because they own (or rent) the legislators who are supposed to be protecting the public interest. OSMRE provides AML grants to the 25 coal-producing states and three tribes according to a congressionally mandated formula based on their past and current coal production. Each year, after the distribution is announced, eligible states and tribes apply for annual reclamation grants to access money in their allocations. OSMRE evaluates and verifies the requests, and makes the award amounts available. The authority to collect AML reclamation fees is slated to expire in September 2021, unless Congress reauthorizes the fee, as it did in 2006. 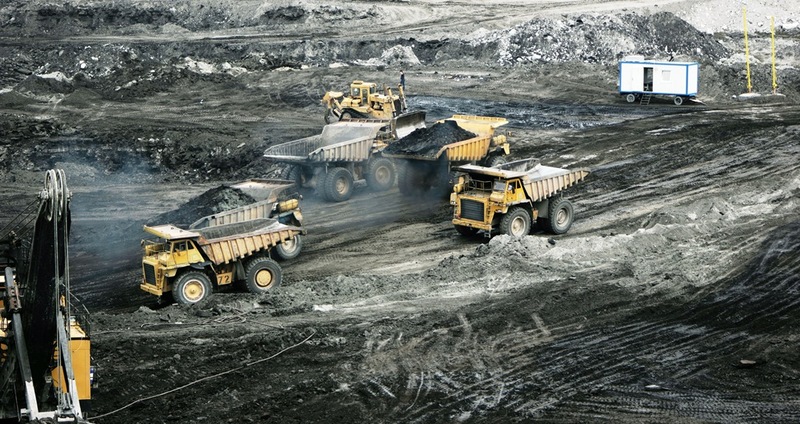 Photo of open pit coal mine via Adobe Stock.